I'm entering these challenges: Dies R Us (Babies), Allsorts (A touch of sparkle), Incy Wincy (ATG), Simon Says Monday (Celebrate), Chocolate, Coffee & Cards (Use a number), Crafty Addicts (ATG) and Southern Gals (ATG). This is so adorable! Sure to bring a smile! Thanks so much for playing in our ‘BABIES’ challenge at Dies R Us! Please come back again soon! Sweet card! Love the embellishments! Thanks for joining us at Chocolate, Coffee & Cards! Lovely card, lots of pretty sparkle. 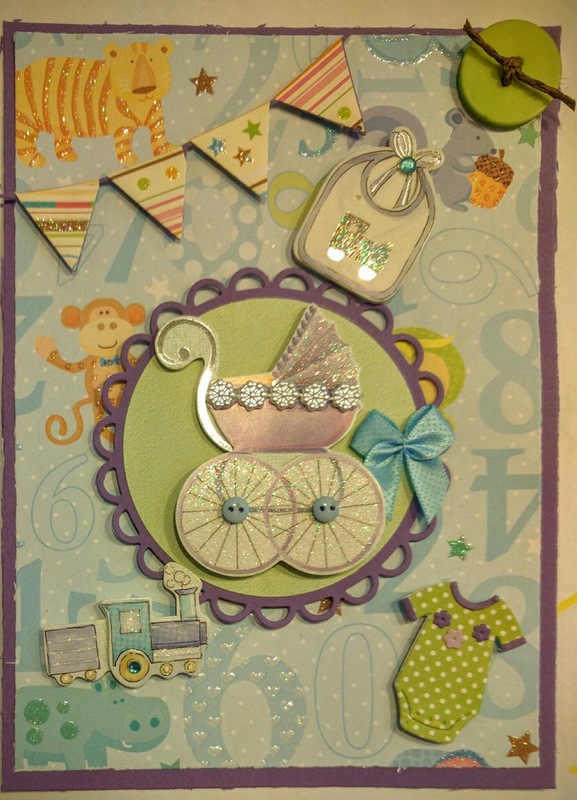 Annabel - Crafty Addicts DT.